Description: The Casavant Frères organ (opus 2871) at St. George's Memorial Anglican Church Oshawa, Ontario, Canada was tonally designed by Lawrence Phelps and was installed in 1966. This three manual organ has 40 speaking stops [37 ranks (each mixture stop counted as one rank)] with the swell division under expression. 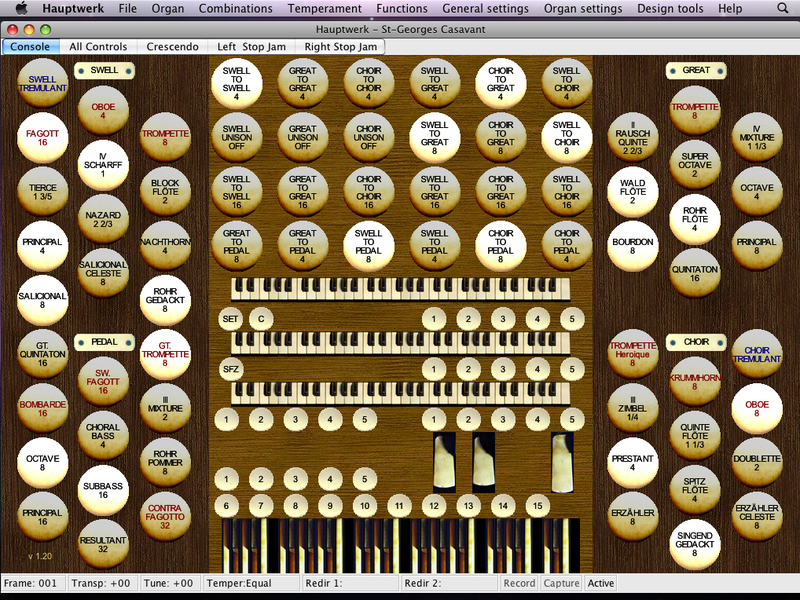 For this sample set, the original organ's specification has been expanded. In the specification listed below, the items identified in yellow have been added to the sample set and are not found on the original instrument. The sample set has 45 speaking stops [42 ranks, six of which have been extended (each mixture stop counted as one rank)] with the choir and swell divisions under independent expression.